Engine: 2.0L Turbo I4 Includes ECO stop/start technology. FFV option is not available in all states please consult your retail dealer and/or MBUSA to determine availability in your state. 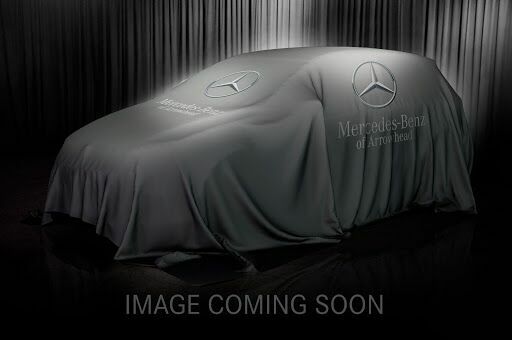 Thank you for visiting another one of Mercedes Benz Of Arrowhead's online listings! Please continue for more information on this 2016 Mercedes-Benz C 300 with 19,350mi. This CEERTIFIED Mercedes-Benz includes: BLIND SPOT ASSIST PREMIUM 1 PACKAGE REAR VIEW CAMERA WHEELS: 17" SPLIT 5-SPOKE (STD) MULTIMEDIA PACKAGE ILLUMINATED STAR OPEN-PORE BLACK ASH TRIM *Note - For third party subscriptions or services, please contact the dealer for more information. * This 2016 Mercedes-Benz C-Class comes with a CARFAX Buyback Guarantee, which means you can buy with certainty. Why does this vehicle look so great? The CARFAX report shows it's only been owned by one owner. As a Certified Pre-Owned vehicle, this Mercedes-Benz C-Class C 300 offers you the peace of mind because you know it has been rigorously inspected to meet exacting standards. Save money at the pump with this fuel-sipping Mercedes-Benz C-Class. This vehicle has extremely low mileage on the odometer, so while it's pre-owned, it's practically new. With complete historical records, you'll know your next pre-owned vehicle, like this one, inside and out before you purchase it. This finely crafted vehicle is engineered to last. But just in case it doesn't, you can take comfort knowing it comes with a manufacturer's warranty. This vehicle comes with a navigation system. That doesn't mean you won't get lost. But it does mean you won't stay lost. More information about the 2016 Mercedes-Benz C-Class: The C-Class has traditionally been Mercedes-Benz' entry-level car. However, with the arrival of the CLA, the C-Class is no longer the German automaker's least expensive model. Mercedes-Benz has packed the 2016 C-Class full of upscale technology, determined to make the car feel anything but entry level. Despite this move upmarket, pricing on the C-Class remains competitive with other European small sedans such as the BMW 3-series. The 2016 C-Class starts at around $40,000. This model sets itself apart with high-end features, all-wheel drive, Attractive modern styling, fuel-efficient diesel and hybrid engines, plus powerful turbocharged engines, and typical Mercedes-Benz luxury. Visit your Mercedes dealer today serving Phoenix, North Scottsdale, Tempe, Gilbert, Mesa, Chandler, Scottsdale AZ.